The Indian Super League (ISL), one of the top football leagues in the country, is contested by ten teams and takes place over the course of six months from September to March. Unlike I-League and most football leagues around the world, the Indian Super League does not use promotion and relegation system. Instead, the management is focused on growing the league through expansion. The league operates along the same lines of the Indian Premier (IPL), India’s premier T20 cricket competition. Like IPL, ISL has the group stage where teams play each other twice, home and away, for eighteen matches each. The winner of the six-month-long league is decided by one final match that takes place at a neutral venue. Determining the winner by one game after playing out for six months certainly makes no sense. This concept is undoubtedly distorting the actual meaning of the league. 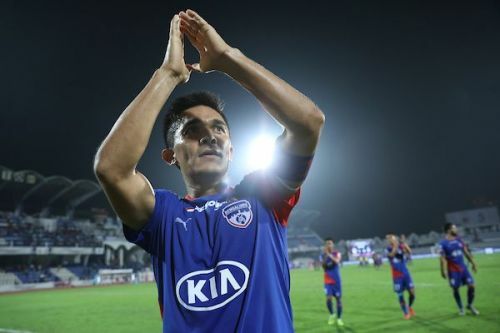 For example, Last year Bengaluru FC (BFC) had a fantastic debut in the ISL, topping the group stage with eight-point lead from the second-ranked Chennaiyin FC. A bad game in the final costed BFC the league and the whole season efforts went in vain. Following the cricket model would be the wrong step in promoting football in India. If the organizers want to make the Indian football strong, The Indian Super League should be played out like a standard league with no playoffs. The table topper at the end of the season should be announced as the League winner. Also, Promotion - Relegation system can be used, and it would be a great way to improve the standards of I-League, encouraging the teams to top the league and enter the cash-rich ISL. Also, the teams in ISL would want to give their best shot in every game to avoid relegation. This concept will create a healthy competition in the two leagues, and the quality of Indian football will undoubtedly improve. Sticking to traditional league format would also mean that all teams will strive hard to finish at the top unlike now where the primary aim is to somehow get through playoffs, even if that means finishing fourth in the league table. By not including playoffs, the teams will be more choosy in their selections, try to get the best legs and aim for consistency throughout the tournament. The Group stage format will also keep everyone interested till the very end of the league as matches played by the bottom teams will be equally crucial- courtesy promotion-relegation system. In Conclusion, it would be great if the ISL is conducted like a proper league such as the premier league, LaLiga or India’s very own I-League. The move could intensify the competition among the clubs and over time, take Indian Football to greater heights. Disclaimer: The opinions expressed in the article belong to the writer and does not represent Sportskeeda's stand.